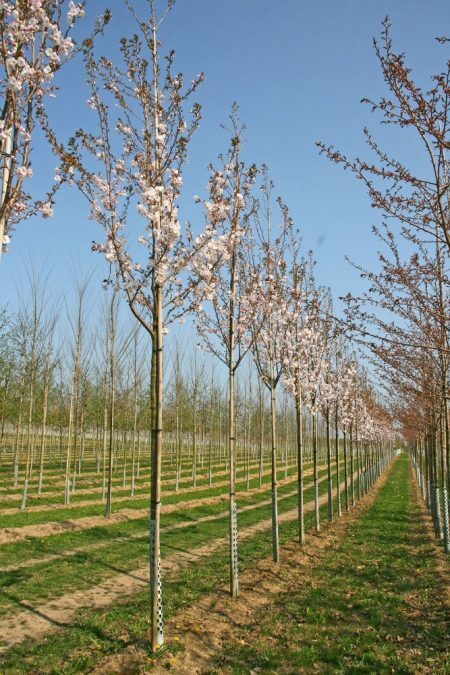 Great White Cherry is a medium sized tree which produces a rounded shaped crown at maturity. It produces a beautifully display of blossom in spring; large single white flowers emerge profusely and contrast with its young, copper coloured foliage. In autumn, this tree gives its second show with foliage turning yellow/orange before falling. Like all cherries, Prunus serrulata Tai Haku prefers to be planted on a well-drained soil, avoiding clay and wet soils.